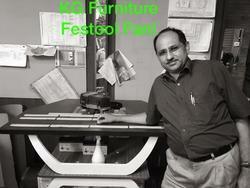 Kindly call me understand quality of Festool products. These are world''s best tools from Germany. We have purchased entire plant through Caple! It is the best Edge Bander. Versatile and Portable. 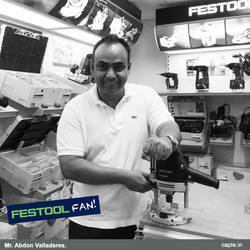 After a decade of dreaming the Festool''s are finally in my studio. Am sitting on my last hand-made tenon -mortise project , a variable leg length stool. 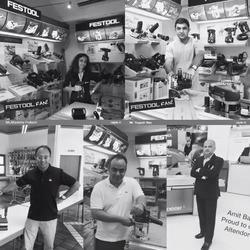 So here is project ''zero'' with the Festool Domino brothers - an ultra strong workbench to work the Domono brothers on – talk of bootstrapping !!!! Am waiting for the bench dogs and some wickedly designed clamps to finish setup. I am a Nuclear Physicist with an MBA from IIM, Ahmedabad. After some 13 years of working in the Multinational, Government, NGO, Indian Private Sector and a Section 25 (now section 8) companies, I decided to be on my own. I have been running Last Resort, a Company I own and run entirely for the sake of running a Company. • And do lots of technical writing on technology, science, nature and wildlife. I play squash and badminton; am a bicycle, 4X4 and motorcycle long distance driver; and am very serious about balance- i do lots of stilt walking and unicycling. I speak eight languages and am learning Arabic and Mandarin Chinese. 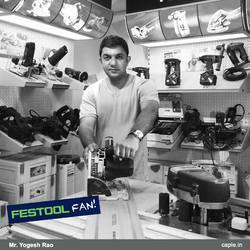 I have used the drywall kit from Festool Germany and Tapetech, USA. Visit to see the performance. 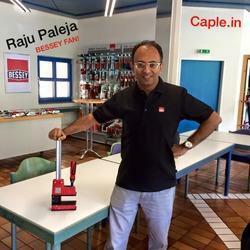 We have been associated with Caple since 2007 and they have supplied us almost all the machines in our plant.